Home/Uncategorized/Leasing vs Buying a New Car Which is Best? When considering a purchase as large as a new car, it would be wise to weigh up your options. Should you buy outright, or should you lease? What are the benefits or restrictions of each? To start with, leasing a car is clearly cheaper in the short term. Monthly payments are often very low, and some cars even come without requiring a deposit. This means you could walk away from a dealership the same day with a brand-new car, having very little to pay out of pocket. But when you think towards the long term, leasing can end up costing you more. If you buy a car outright you pay a one-off lump sum, which can be daunting, but once you’ve done that it’s yours to keep. With leasing, you end up paying the monthly fee, which is more expensive after interest, fees, etc. You can expect to spend anything up to 30% more than if you paid the full price from the start. Another thing to consider is how often you expect to change your car. If you enjoy the new car smell every few years, then the option of leasing may be for you. Leases are an average of 3 years long, and at the end, you get a new car and start again with the most up-to-date features such as new technology, and the most advanced safety features. This means you will never get bored of the vehicle you drive. Then again, if you own a car, you could pay to have these systems upgraded, whilst keeping the car that you own and have come to enjoy. You have the ability to sell it or trade it in, whenever the new car itch strikes. Because there are no limitations or time constraints from a lease, you have a lot more leeway to do with it as you wish. This includes any modifications you may wish to make. If you outright own a car, you can change just about anything on it, whenever you desire. Add new decor, change the audio equipment, or even a custom paint job, it’s up to you. A lot of people enjoy the ability to customize every aspect of a vehicle that they own, as opposed to being confined to their original choice when leasing. Plus, if you dent, scuff, or ding your leased car, you are going to incur fees when returning the vehicle. Whereas if you do the same to a car you fully own, it’s just inconvenient and annoying. Thus, totally up to you if you bother fixing it, or just carry on as if it never happened and save yourself a few bucks. Selling a car can be a stressful event. It involves people asking endless amounts of questions, repeating the same answers over and over, and often a few letdowns. 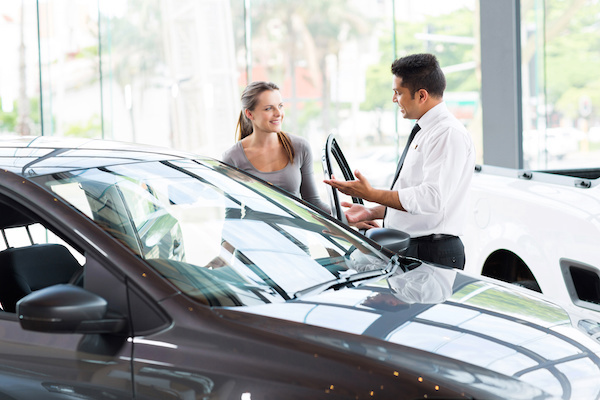 If you own a car and decide it’s time for an upgrade, you may not get a great price trading it in, leaving your only option to sell it yourself for a down payment. Whilst a big lump sum can be useful, putting it towards your new choice of vehicle, it can be difficult to come by. Cars lose their value from the second you pull them off the lot. The value can decrease by as much as 40% in the first 3 years. This means you have to work harder selling it, with what some people would argue is not worth the hassle. With leasing, you simply hand the car back at the end of the lease and walk away with a new one, hopefully without having to pay any penalties. Saving you the stress and hassle of selling it. Finally, you should always consider your average yearly mileage. Most leases have a restriction on the number of miles you can do. If you go over this, you get charged extra – and it’s usually a large amount. If you only do 10,000-15,000 miles a year, then leasing will be a realistic option for you. But do check with the dealer first, ask them exactly what the yearly mileage allowance is, and remember there are various levels of miles in a lease. You may be able to pay a little more a month for a lot of extra miles. If you use your car a lot and drive over 15,000 miles a year, then buying a car would be a more sensible/financially responsible option. Or if you’re unsure of your yearly usage because it can vary, buying a car outright would suit you better. It certainly gives you the freedom to move around as you please, although you are technically paying the price for it. Overall it is simple to figure out which option would suit you personally. There are pros and cons of both buying outright and leasing, meaning that you should weigh these up before you make your final decision.